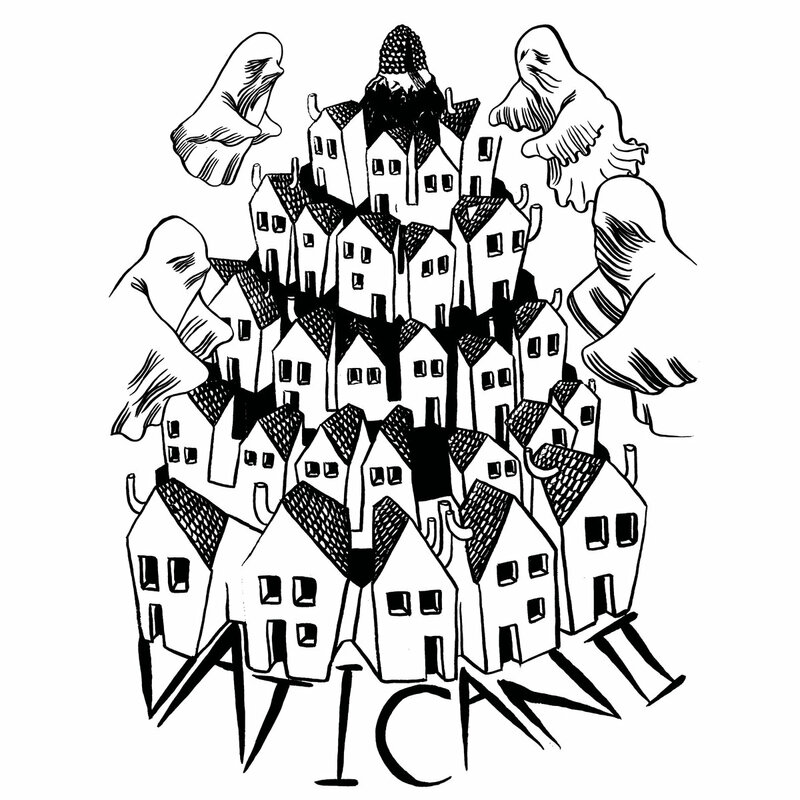 Vatican II was formed in the sticky summer of 2012 by Hugh, Paul (Hands Up Who Wants to Die, Shifting, Molossus) and Ivan (Crowhammer), over a mutual appreciation of jam donuts and the music of Unwound, Polvo and Rodan. They have mostly been focused on writing and rewriting tunes over the last four years, and playing sporadic rock shows with lovely bands like Animal Lover, Golden Oriole, Mayors of Miyazaki, Siorai Geimhreadh, Nothing Clean, Gaze and Woven Skull, amongst others. Cunningly abrasive and excelling in the antagonism of the inner senses, “Squirdiller” is a compact collection of post noise rock, melancholic dirge and revitalising heft.